Applied for this card, and it was a very easy process. I had seen CK make this reccomendation, yet was cautious about their reccomendation, so I went to Capital One, and checked thru their pre qualified sections and it was all good. Please not I do have Cap1 Venture card $10,000 Limit, Cap 1 Silver card, $3500 , and now this card with a $30,000 limit. My Credit score is 696 all across the board, so I am lucky and very happy to get this card. I keep all balances paid off in ful. Going to take advantage of the Balance transfer for a couple of our Joint / Wifes crdit cards, 0 APR for 15 months.. Awesome service. Enhanced security features. Card lock and tokenized vendor specific card number are the best features. Nice calendar in app to display the spending trends over each day. My favorite card of all. Love the web site it is very convenient and super easy to use. 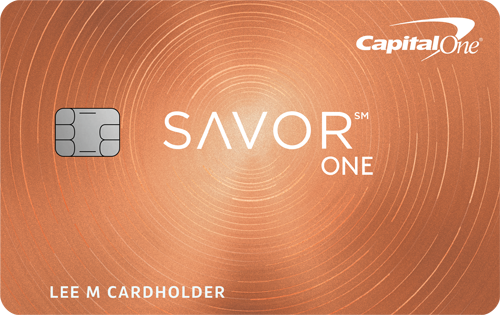 My Savor card is my preferred CC. I run all of my transactions through a credit card for the additinoal protection it provides. Any bills that can be paid with CC as well. I don't carry balances from month to month. The rewards on this card build quickly and are a cinch to redeem in any way you wish.